Over 85 individual stickers, all hand-drawn! 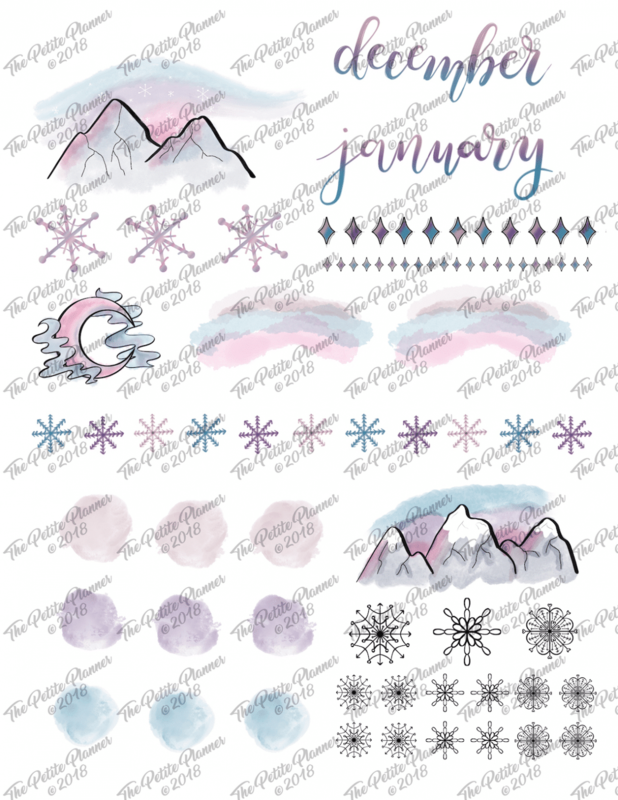 Perfect for you bullet journal in December and January! 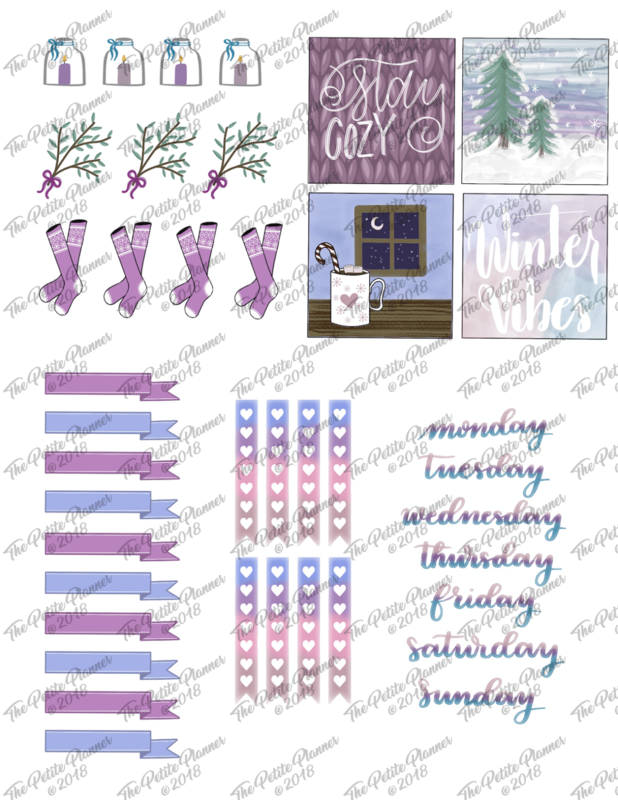 Simply print, cut, and paste into your journal for a soft, pastel winter vibe. This sticker pack radiates with winter wonderland vibes and coziness. 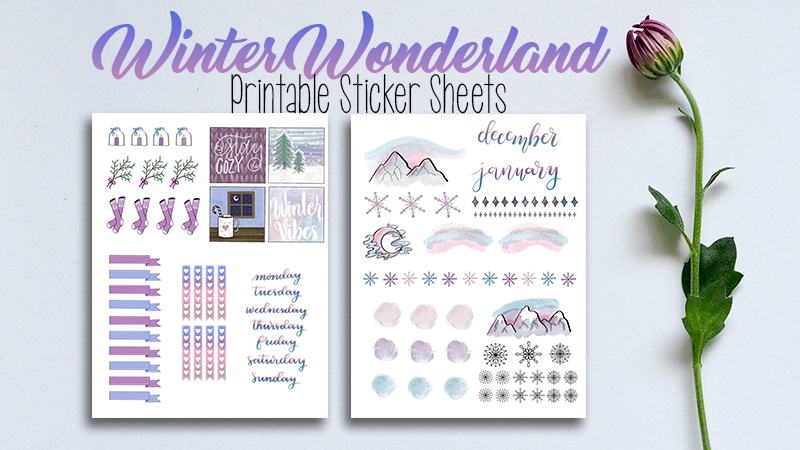 From the long socks and pastel-colored snowflakes to the weekday headers and snow-covered mountains, this winter wonderland printable stickers pack will give your bullet journal a beautiful pop of winter color. There are so many combinations of options with this pack. 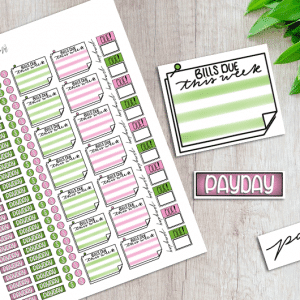 You can write out your own headers on the pastel-colored banners or use the gradient headers to decorate your weekly and monthly pages. Add some small snowflakes or stars as decoration or use them to mark off weekly habits. 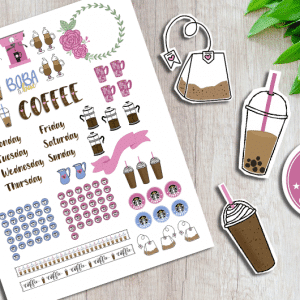 I hope you enjoy this printable sticker pack. These are Printable Stickers. You will not receive a physical product. 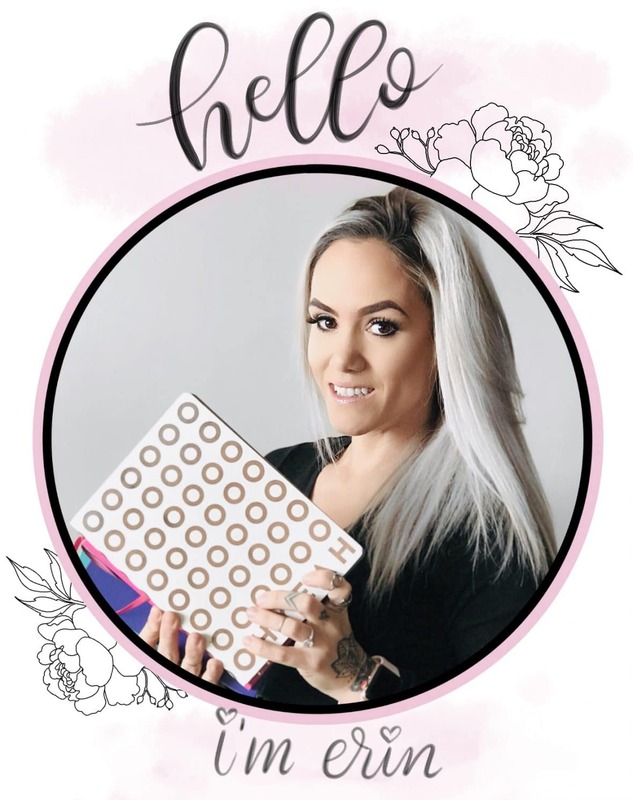 After you make your purchase you will be able to download your purchase free of the watermark seen on the images below. available here– these are affiliate links, meaning if you click through and make a purchase, I may receive a small commission at no extra cost to you). 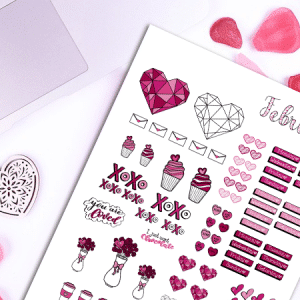 After printing, carefully cut out your stickers with a pair of scissors and then adhere them into your journal by peeling off the backing of the sticker paper. You can also do this with tape or glue if you printed on regular paper.